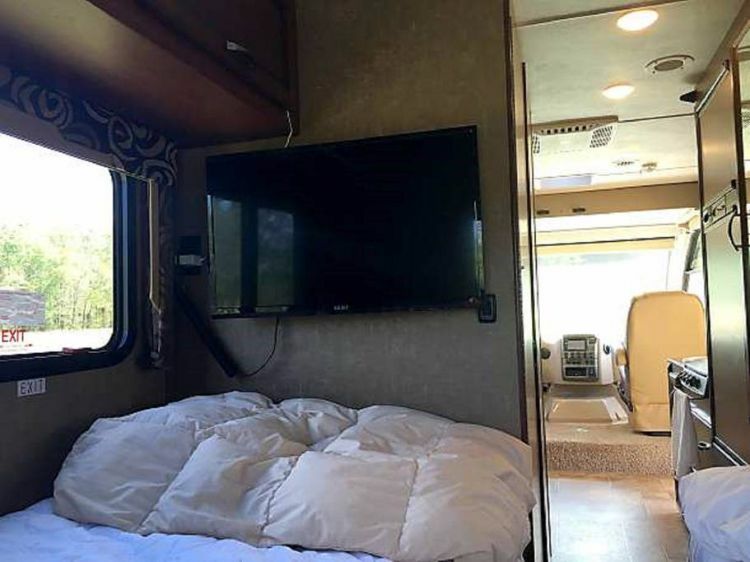 You can forget any RV experience you've had up until now because this luxury Vegas motorhome is a total game changer when it comes to mobile living. 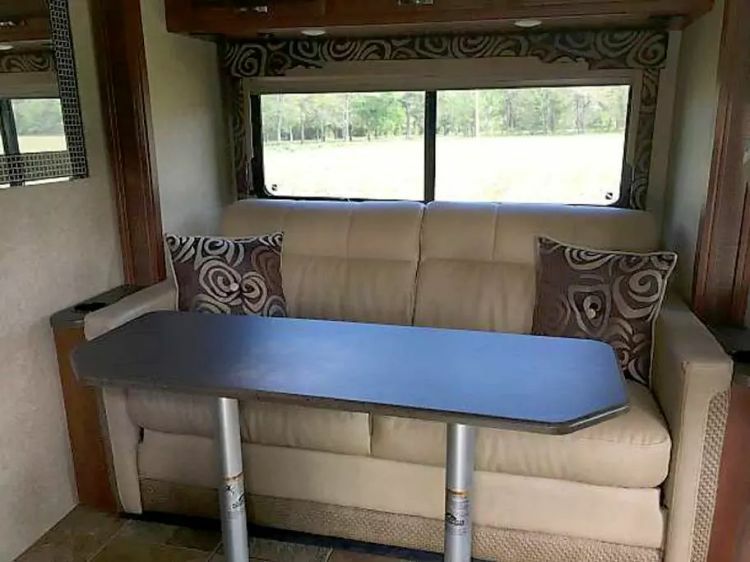 When it comes to luxury RVs, this Vegas motorhome is particularly impressive with its multifunctional interior, easy drivability, and opulent surfaces. All you have to do to experience this beauty for yourself is to make your way to its Airbnb listing and click 'book.' 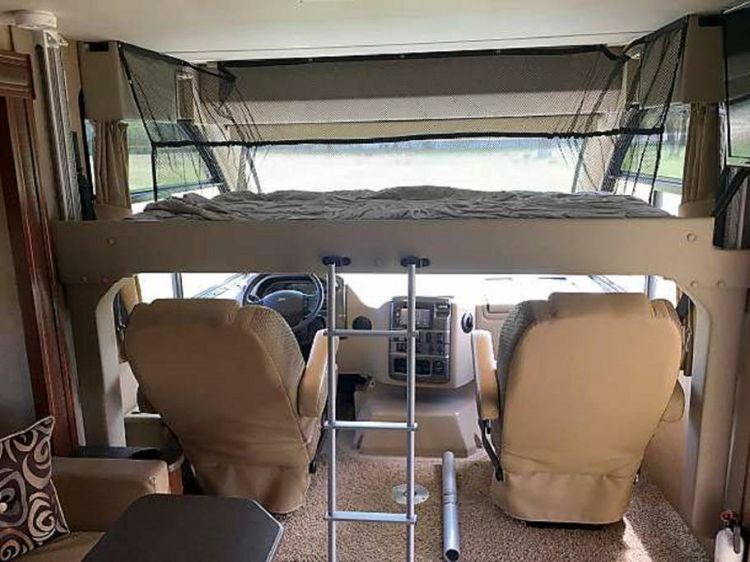 The best part is, with this RV, the options are limitless. 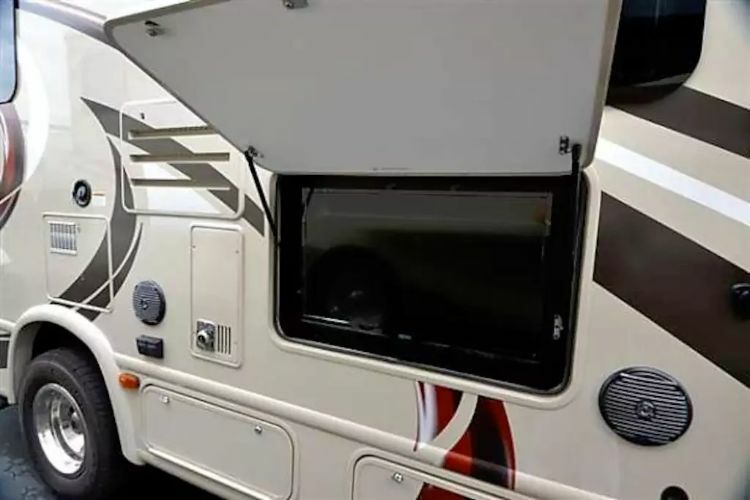 The host gives his guests the opportunity to drive it to a location of their choice – or he can personally set it up at a local campground in Columbia, South Carolina. 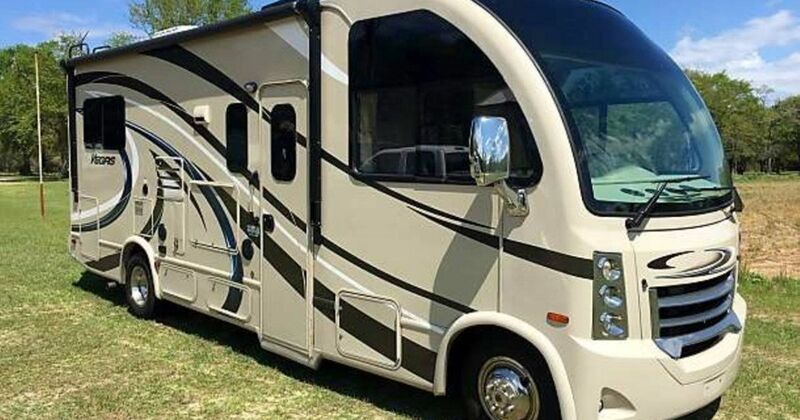 One of the biggest perks about this Vegas motorhome is its size and how easy it is to drive. Here you can see the driver's set up as well as a single bunk that lowers down in the evening. Imagine the stars you can see from those huge windows at night. This lush, leather dinette can also be converted into a queen-sized bed. This kitchen won't ever leave you hanging. It has everything you need to cook all your favorite meals just like you would at home. 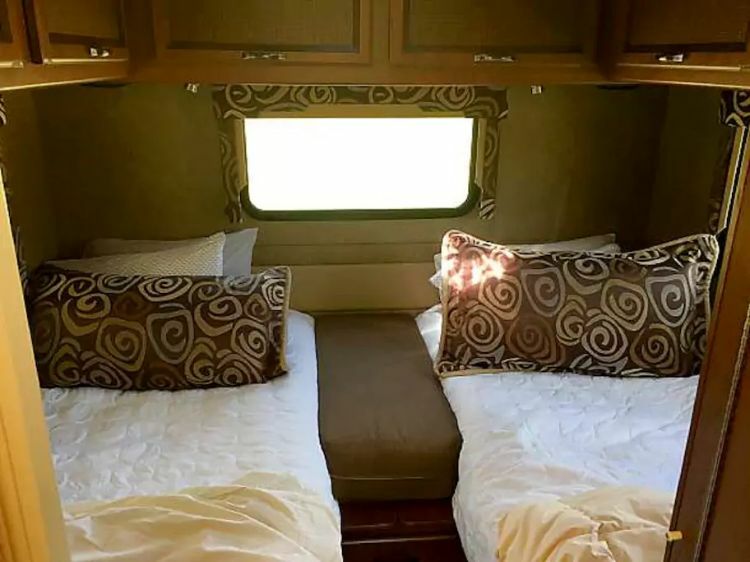 There are so many different sleeping arrangements in this motorhome. With the ability to accommodate up to five, this would be a perfect lodging for a family vacation. Can't sleep without watching some TV first? You're in luck with this big flatscreen. 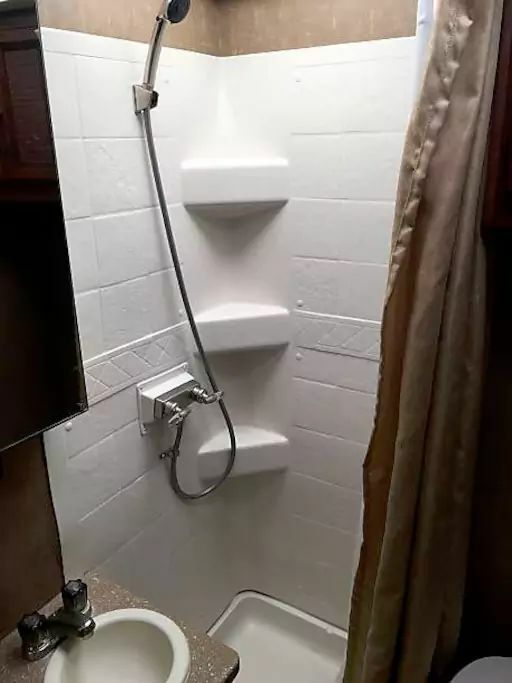 For a 25-foot (7.6-meter) motorhome, this bathroom is spacious and super comfortable. Want to spend some time outdoors? No problem at all. Your outdoor TV will be waiting under this magical door. Yes, an outdoor TV. Grab some beer, some snacks, and get that game on. 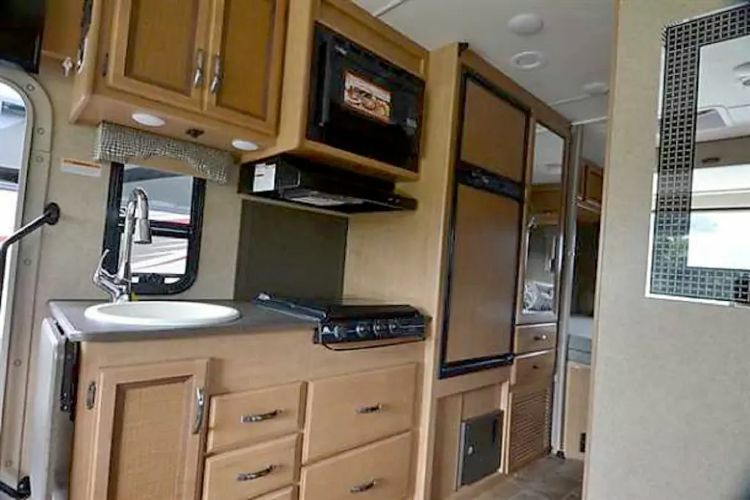 Are you as impressed by this Vegas motorhome as much as we are? Share it with your friends on Facebook and let us know what you think in the comments!